Send your Special Gentleman a very special handmade card created with beautiful embroidery stitched, cut and hand finished right here in Lancashire. Choose from any of the designs on the website, and we can write your special message on the front - just write what you would like on the front in the drop down box and leave the rest to us. We hope you will be able to find a beautiful card for your Special Man on our site. Beautiful handmade greetings for your special Gentleman! 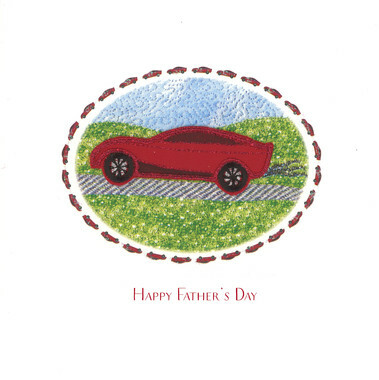 Handmade gentlemans cards feature beautiful embroidery, these cards are crafted using a variety of textiles and speciality threads to produce a range of exquisite, individual embroidered greeting cards.